HEH Ltd shares the ideals of the Bosch Group, which are founded on quality, value and reliability. Only Installers who are of this elite standard are entitled to offer our customers an EXCLUSIVE 7 - 10 YEAR MINIMUM GUARANTEE on all models of Worcester Greenstar gas fired boilers we install, subject to an annual service. 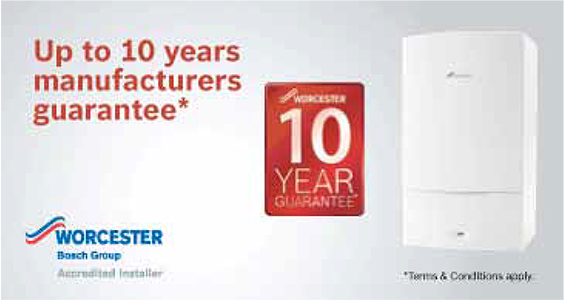 Being above and beyond elite standard as Worcester Bosch Diamond Accredited Installers we can offer our customers up to 10 years warranty when Worcester Bosch Si, I, Cdi and Ri boilers, controls and filters are installed together (subject to manufacturers terms and conditions). We are fully insured, all works undertaken will carry a labour guarantee to give peace of mind. Even when we replace worn or broken products, using genuine manufacturer parts, we pass the warranties on to you. 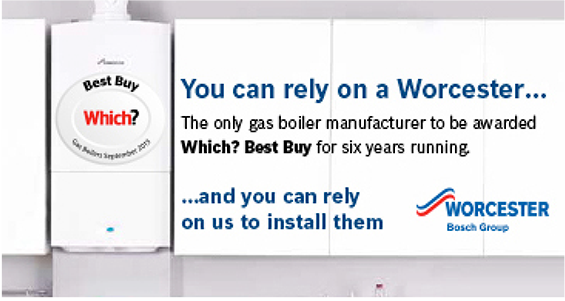 By treating all of our customers to the service they should deserve we intend to build upon our reputation as a gas central heating and plumbing company that can be trusted. However, by far the greatest service we can offer is to give you an unsurpassed guarantee when we install a new gas fired Worcester boiler into your home. For further information or if you need an estimate please call us on 0800 389 9613 or contact us.